I think I would make a mini album for my daughter to take with her for her freshman year at college. The first 1/2 would have p ics of us and the kitty cats, then leave plenty of room for her to add things from her year. Juliana, you know I'm a huge fan!! I loved every one of your projects! Your work always knocks my socks off Juliana! My favorite of all of these is actually the January layout! I almost gave up and did 13 (I mean it is 2013!!!) but just nailed it down to ten! Looking forward to the continued inspiration in 2014! Love these layouts! Thank you for a chance to win the giveaway! Oh my goodness, these are all so eye-catching! I can see why you chose them as your favorites! If I absolutely HAD to choose a favorite, it would probably be the May layout - but that witch's hat is a really, really close second. 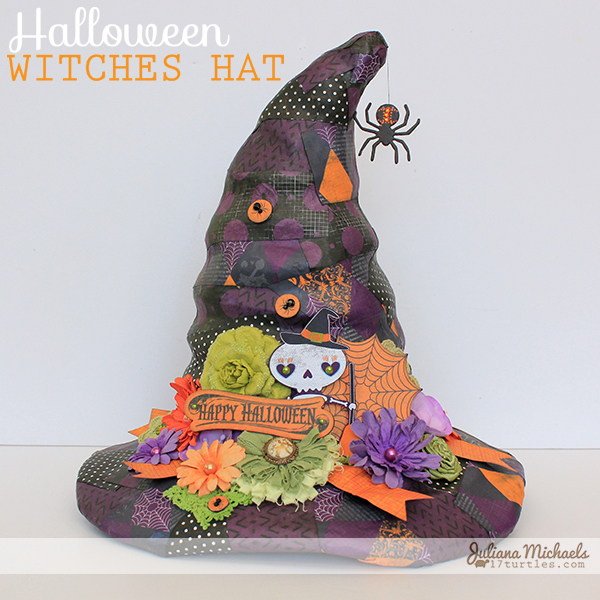 Or maybe I like the witch's hat best and the layout second. They are ALL fantastic! Great projects, Juliana! I especially love your witch's hat. Remember seeing it everywhere. I follow by Bloglovin (http://www.bloglovin.com/dluscan) and would use the giveaway to scrap and make cards. Thanks for the inspiration! You are so talented. I love being inspired by the variety of projects youbcomplete and share. Oops, forgot to comment on what I would do if I won the package: I'm on a mission to art journal and document everyday so I've decided to create my own daily planner for 2014. Your goodies look perfect for my needs. Thanks for the chance to win. Already subscribed to uour blog, but am now also following you on fb. My name is lucie pena hale. Fantastic layouts!!! I really love the Feb. Love layout! 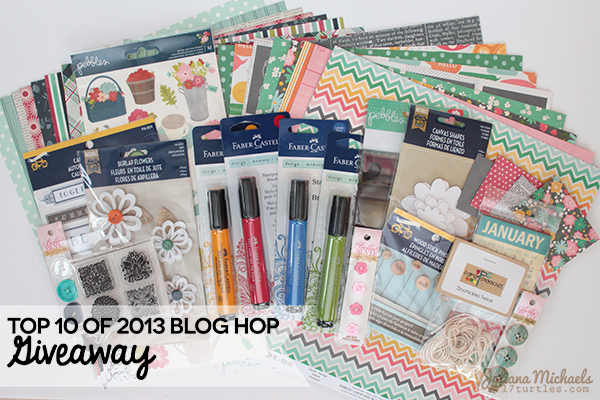 Such a generous prize Juliana, love all the fun & fresh colors..would be great to make cards with! Following along on bloglovin as Meredith245 at yahoo dot com. If I won I would make scrapbook layouts and cards. I already followed you for a long time. With your goodies I would have one fun scrappy week! OOPs forgot to tell you how wonderful your pages and projects are !!! Always been a fan of your work! Just love the February layout! Always love your work! Great top 12 projects! If I won your prize I would do a total HAPPY dance and then dig in and make some layouts about my kids! Thanks for the chance to win! what a fabulous way to end the year....with inspiration enough to carry over into the new one! awesome....pure awesomeness. thank you for the giveaway and ALL the inspiration all the time! dang....didn't see the entire directions before i commented. sigh. anyway....i'm a follower and have been for quite some time...mostly lurking. i would make cards....LOTS of cards....put them away and pull them out when i need them, which seems to be all the time. 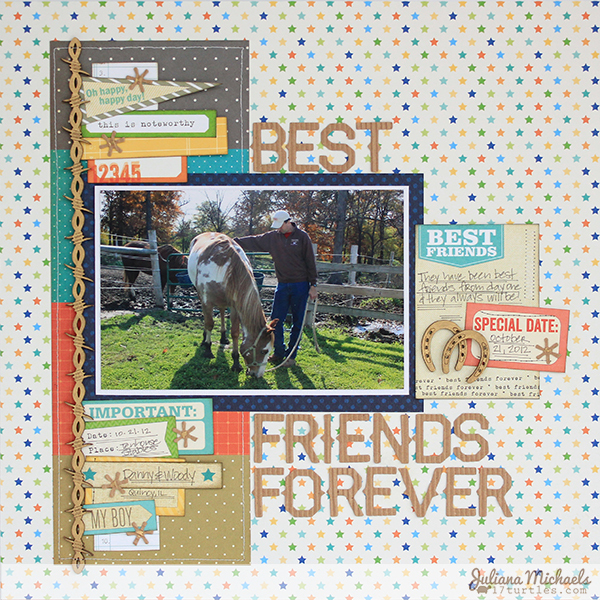 I belong to a scrapbook group and I think I would share it with all of my friends!!! This is a GREAT giveaway!!! That's a great prize! I could do with some new papers (haven't bought any in a while) I'd make cards and project life with these goodies! 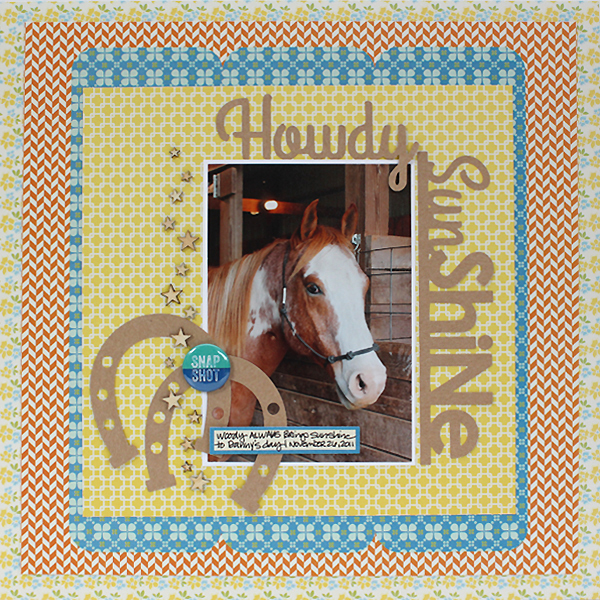 Gorgeous and fun projects and awesome giveaway. 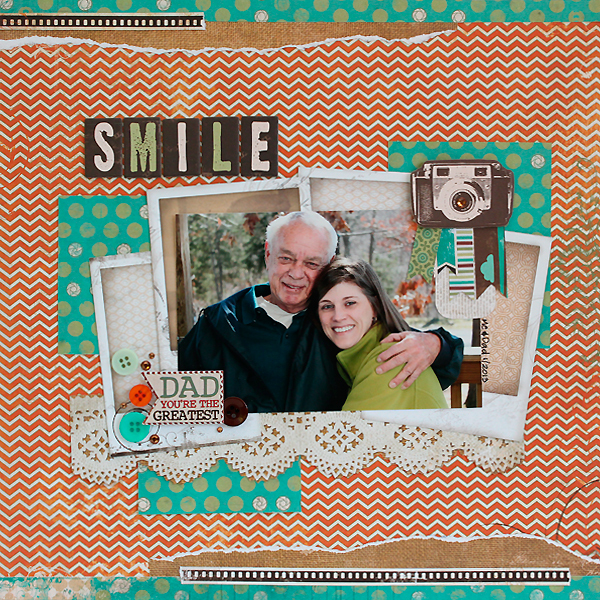 Love each of these projects/ layouts, I really like Junes layout with your dad! Thanks for the chance to win, this would be a fun prize to win, I've just started playing around with mixed media and I know I would love to try those markers! So many beautiful projects! And I would definitely be creating lots of layouts with that amazing prize package. I'm a new follower as well. Thank you! Thank you for sharing your projects with us Juliana! I poke in here every once in a while, as time allows, so you already know I love your work! What a fantastic and generous giveaway! Love all your layouts-if I won I would love to get caught up on some of my albums! Thanks for the great layouts and a chance to win! I just love your canvas and the Easter Eggs. All such amazing projects. I follow you on FB, Bloglovin, and Pinterest! I'm a new follower on bloglovin and also on Facebook. I'd love your giveaway to create some fun new year layouts! Thanks for your great layouts and inspiration! Beautiful work! I love the hand stitching on the sun! I'd love to win this awesome prize! I'd make a mini album for my sister who is undergoing chemo for stage IV cancer with part of it and then use some of the rest for layouts for myself! Love, love, love all of these but blown away by the Witches Hat! Incredible work! 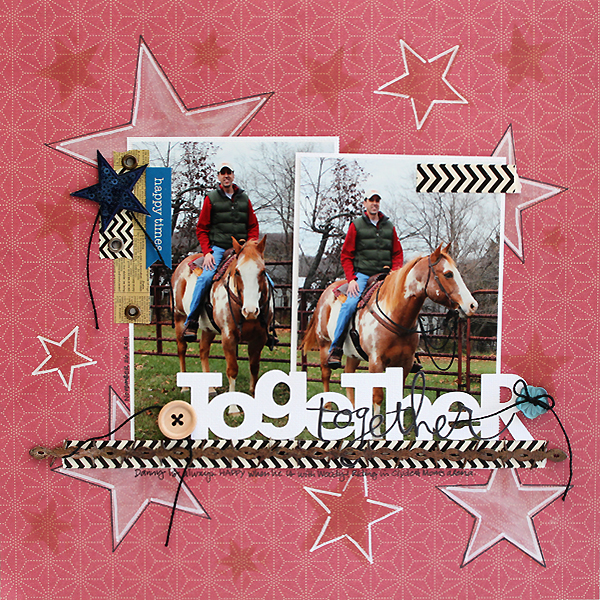 Love your mix of layouts and projects Juliana! It's always fun to visit your Blog and see what you've created! Fun! Love the Easter Eggs and the lo with stars!! First I would break into those Faber-Castell items because I don't have any and I'm dieing to try them. Then I would have fun playing and making lo's and projects. I would scrap the wonderful photos of my sweet kiddies! There are so many occasions and I love those companies! Fabulous work! So happy to be a new follower and I would love to use these products for scrapbooking and cardmaking! Happy Holidays Juliana! I always love to see how talented and creative you get with all your projects. 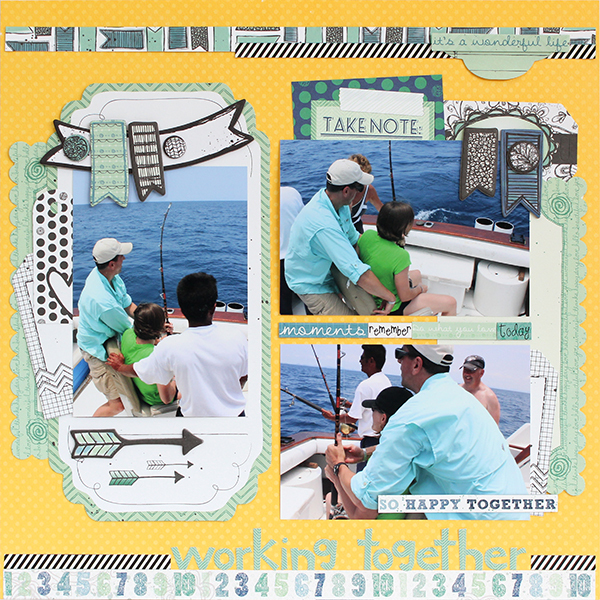 I am thinking of trying PL so these papers are looking great for the spring/summers months! I'm in Canada, but i have a US address! Love your projects shared! 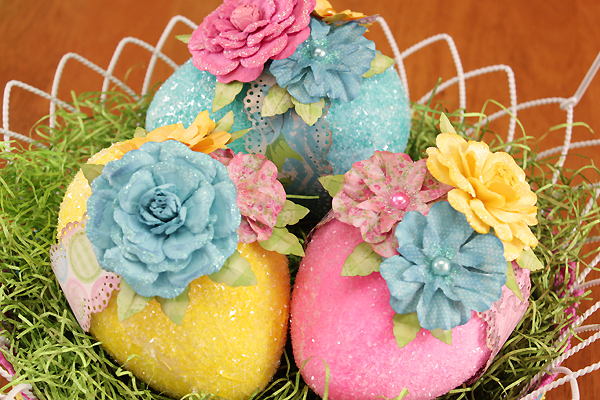 Those eggs are adorable! Great work this year! I always enjoy seeing the details on your projects. Thanks for sharing your creativity! If I were lucky enough to win, I'd first make some cards...my husband's family has lots of Bdays at the beginning of the year, and since we're so blessed to have generous family, we have tons of thank-you notes to write too! I follow you through Feedly.com. Thanks for the inspiration, and the generous cut files too! Great style! That witch's hat is totally my fav! I enjoyed looking at your projects so much! I really love that June page (such a fabby photo!) and of course your witches hat is the bomb-diggity!!! Wishing you all of the very best in 2014! You have created amazing creations this year Juliana!! They are all gorgeous!!! Awesome stuff!! I'd create a layout for my son with the prize and be willing to pay postage. I'm a new follower via email and bloglovin. I just love your work! Witches hat was unbelievable! 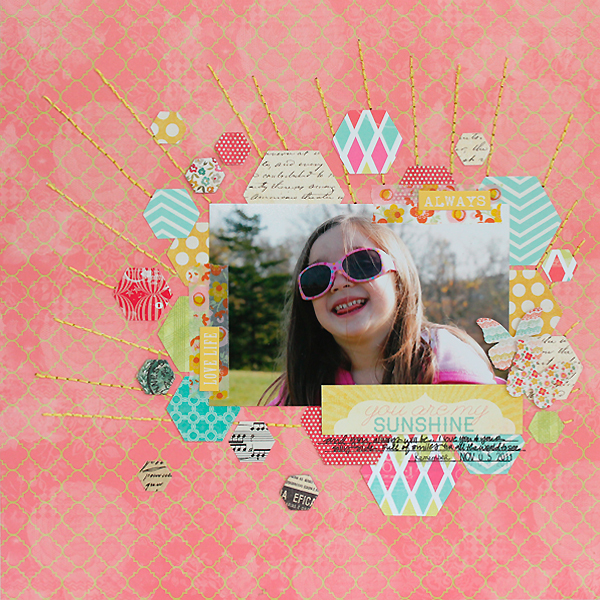 Love the awesome projects and if I win, I would love to use it for my layouts with my "four friends" trip. 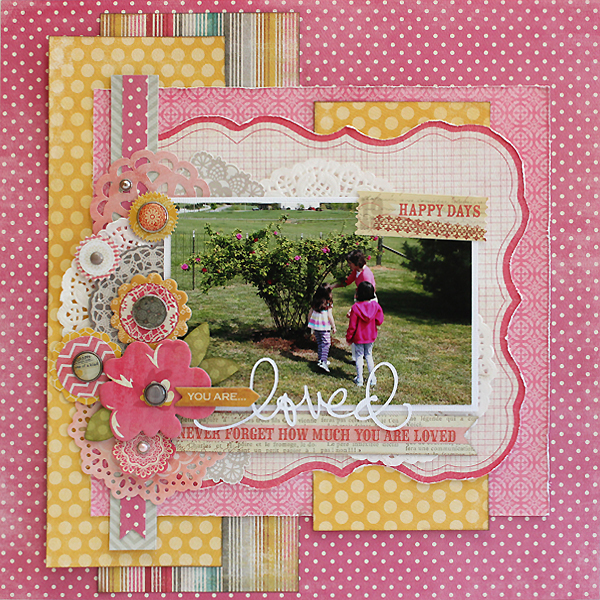 Lots of fabulous layouts! And a wonderful prize!! 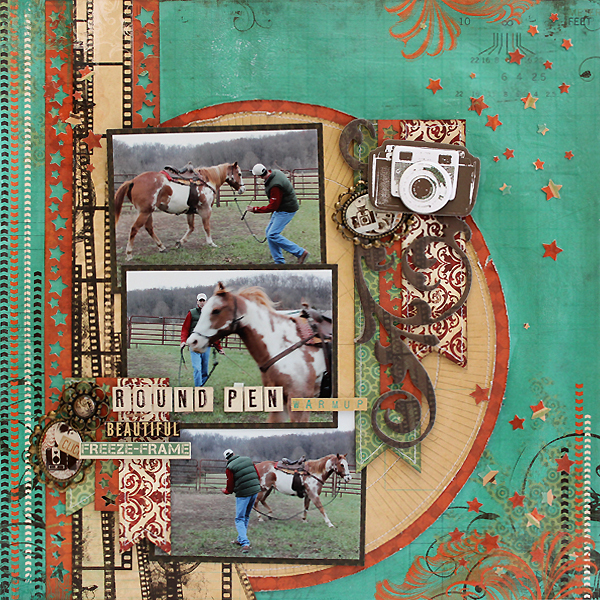 So many fabulous layouts but the one that i really love is the Round Pen layout. Wonderful design and striking color combo! What would I do with this prize package?? Well first of all I would SCREAM with delight, and then I would start opening packages, cutting, gluing and crafting up a storm! Thanks so much for the awesome giveaway! The eggs and witch hat are both amazing projects! I've added your blog to my reading list. I would learn how to use the Gelatos and then make a fun album for my third grade classroom to remember this awesome school year if I won! I would get to play with the same stuff you use and maybe try to re-create one of your amazing pages. I miss hanging out at the crops. and I love all these projects! I would scrap! I've been itching to scrap and it's always fun with new stuff! I would focus on learning all the different ways of using gelatos! I would try some new techniques. Love the hat and all of your layout choices! your LOs and projects are gorgeous!! i think my fave is the witch's hat <3 if i won....i'd oogle my goodies forever and finally dig in and make a huge mess! I would use the FC pens, create a layout and enter it in Mou's challenge. I would use this kit to jump start my scrapbooking again....I haven't scrapped since right before my son was born and he is almost 9 months old now! This are all so inspiring! Just love your style. Thanks for some end of the year inspiration! I love February! Very pretty! Love all of them! Wow! I am a new follower and am so impressed with your work. I am not sure I can pick a favourite....like you, narrowing things down is not something I am good at. If I won that lovely giveaway I would certainly put it to good use. I am a Canadian and I would gladly pay for shipping. Thanks for the inspiration!!! I would definitely start scrapping again!